Rainbow: It is not a hoax! It is not a hoax! 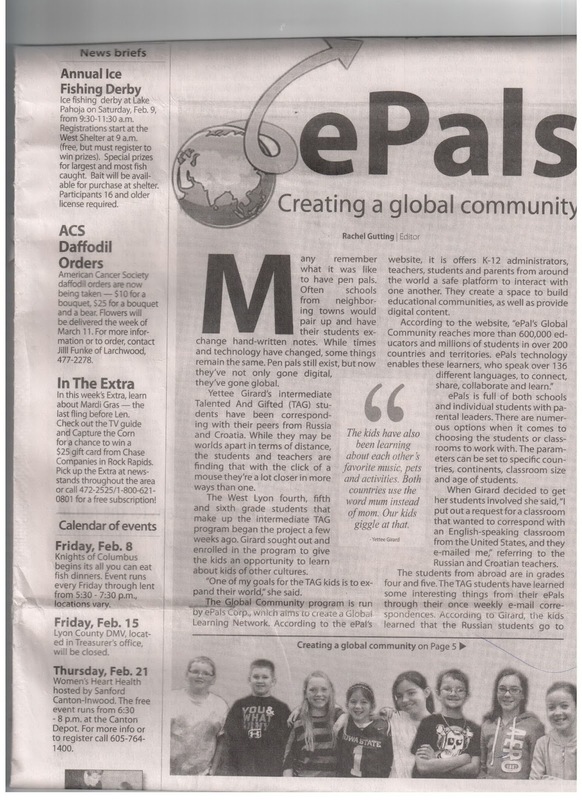 On the 1st of April I told my students that their photo was published in the American newspaper. And it was not a hoax! 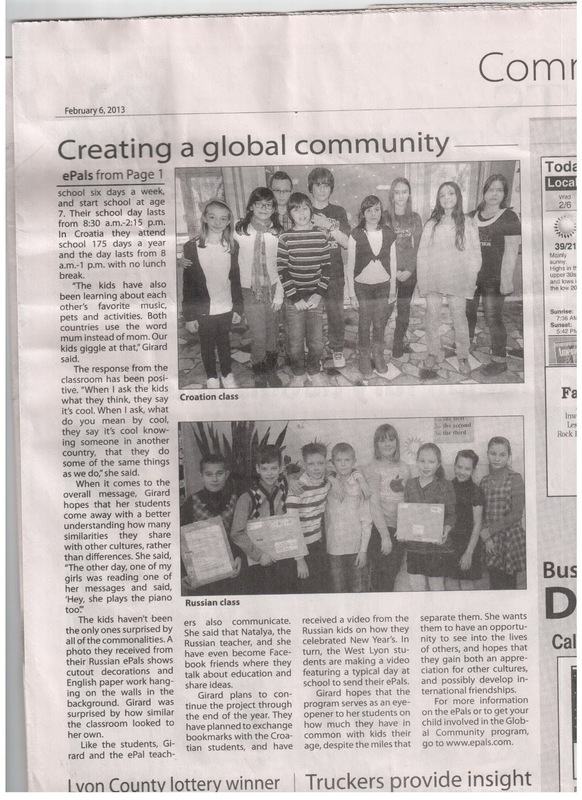 We did get a letter from our American friends with the newspaper article about our collaboration. It was a real surprise! 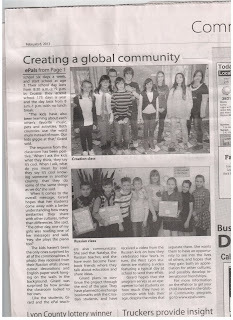 We are thankful to our American friends and their teacher Yettee Girard who shared their impressions with the reporter. 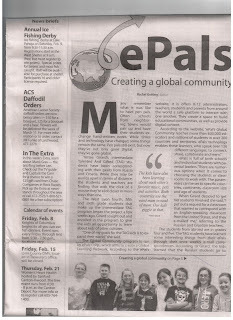 And we would like you to visit www.epals.com . This website has given our students a chance to find pen-friends, to collaborate and learn getting a lot of positive emotions!